Scooby Doo is one of them classic characters that almost everyone knows about, being around since the late 60's he is an iconic figure from so many adults childhoods and still continues to be popular with children today. The mystery and bit spooky plots coupled with the plain silly characters make it appealing and with lots of different remakes over the year with feature films and animated series on the television it seems that Scooby Doo is going to continue to be loved for a long time. The great thing about Scooby Doo is that it appeals to a large age range, my 5 year old loves it as much as my 11 year old, and when it comes to toys there is nothing that brings them together more than lego building brick style sets. Character Building produce a whole range of brick playsets with the same format as the popular Lego brand. 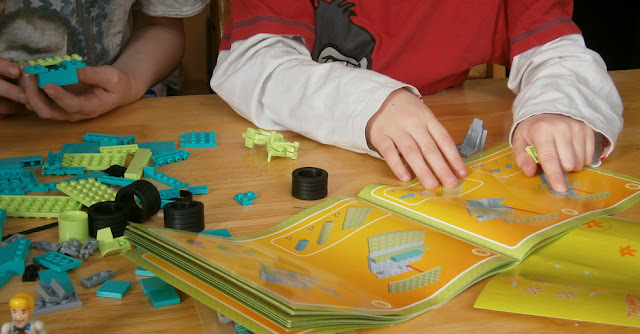 Character Building have a great range with popular characters from Doctor Who to Football figures, and they now have a fantastic range of Scooby Doo mini figures and Building sets too. 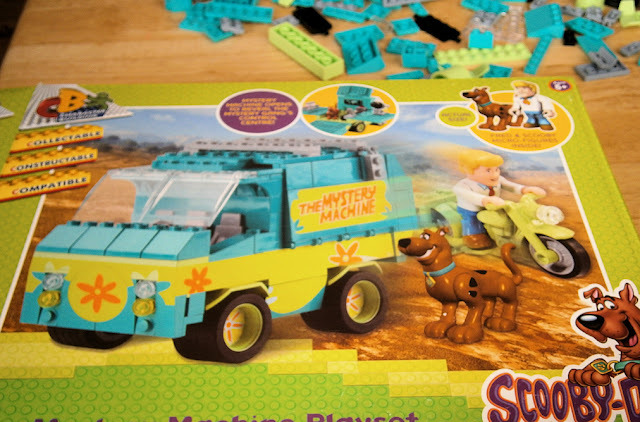 We received this fantastic Scooby Doo Playset to review the other day and it was perfect timing for my boys to spend a cold afternoon together building up the Mystery Machine. 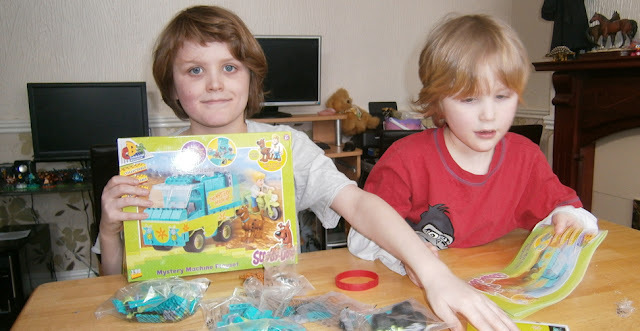 In the Character Building range there are mini figures available in Blind Bags which retail at £1.99 each and are perfect pocket money toys for children to build up their collection and increase play, all children love the mini figures almost as much as they do building up the bigger brick play sets. 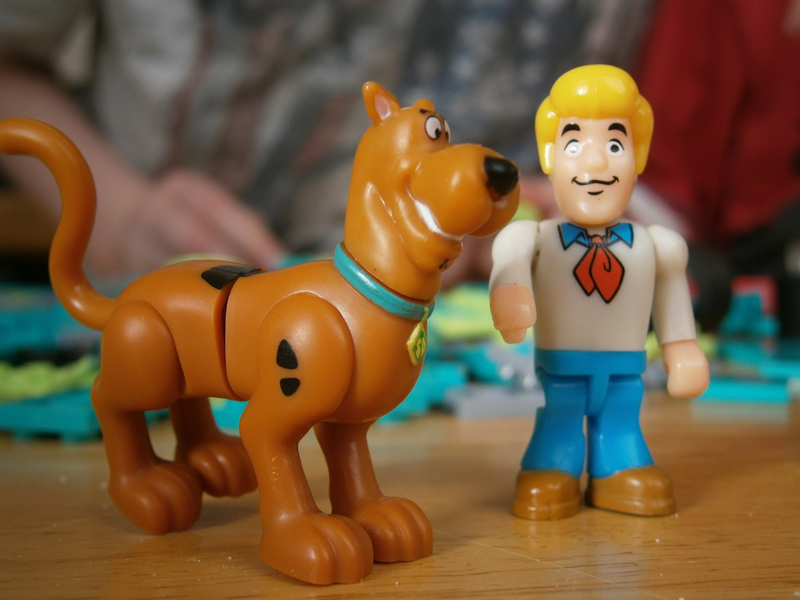 Characters in the Scooby Doo series include all the favourites, Scooby, Shaggy, Fred, Daphne and Velma along with several monsters. 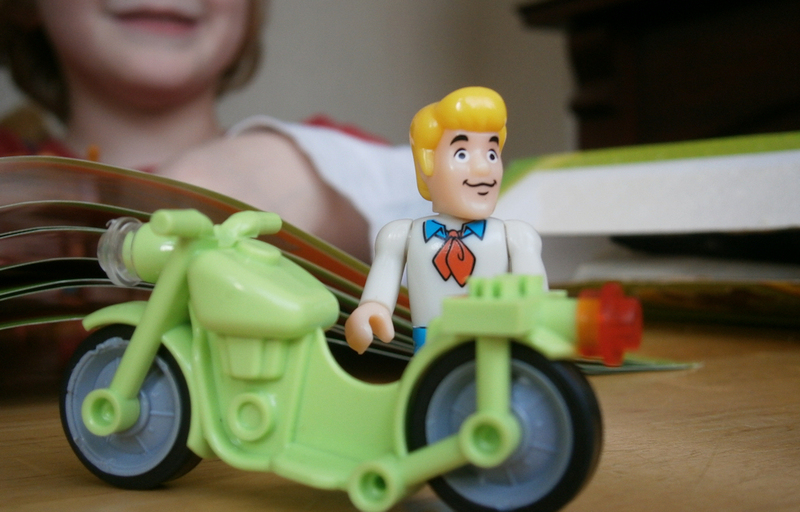 The Mystery Machine playset includes Fred and Scooby Doo mini figures, and a bicycle for Fred to ride. 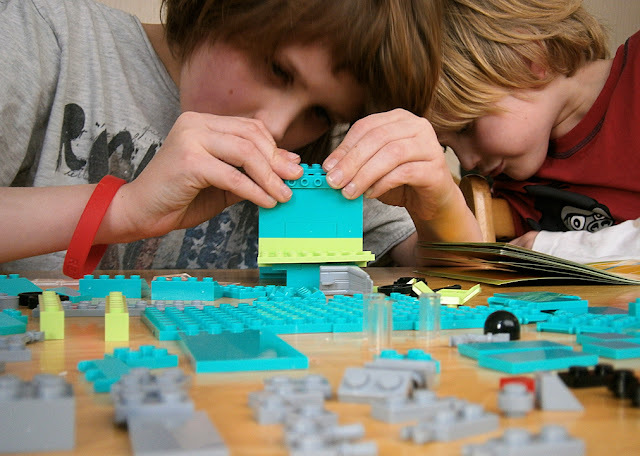 The quality of the bricks are great and they fit together easily and stay together well, the instructions are simple enough for even my five year old to follow, yet the end outcome is still detailed enough to attract my eldest son. 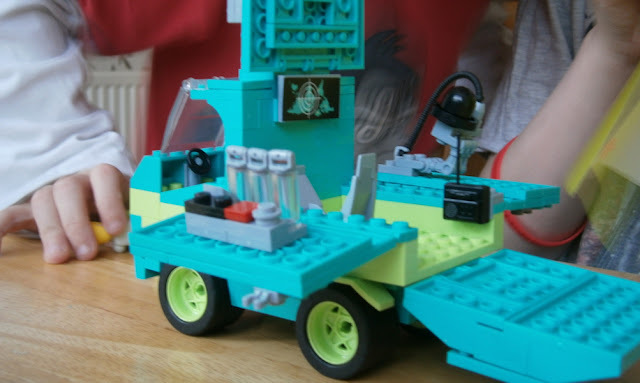 The Mystery Machine took my eldest son around two hours to build up, with the helpful interfering of his younger brother,the finished truck is instantly recognisable as the van that Scooby doo and his friends travel around in, adding the finishing touches with stickers and it really is a great display piece. This is a really lovely set and my boys have enjoyed building it and playing with the mini figures. If you have a Scooby doo fan or just a older child who you are struggling to think of a gift to entertain them, then this may just be the perfect thing. 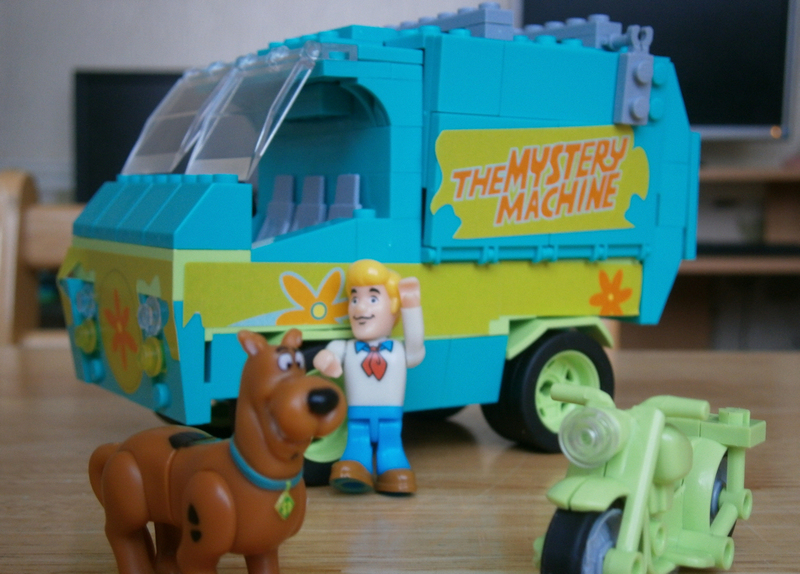 The Mystery Machine Brick Playset retails around £19.99 Check out the full range of playsets and mini figures online on the Character Website.